We have a large selection of Weber grills available along with a complete line of Weber Grill accessories. Stay tuned! Our new 2017 Weber Genesis grills will be here in December! It's the perfect gift for the grilling aficionado in your life. 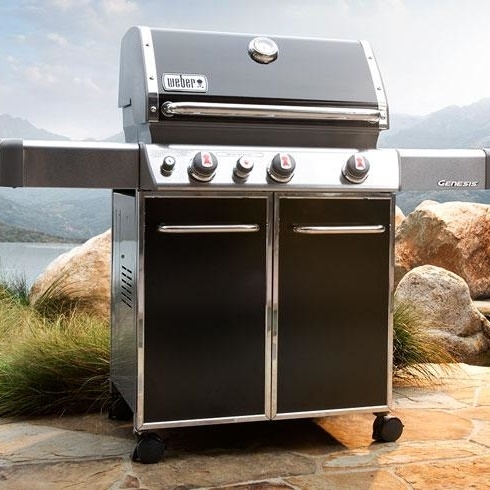 Questions about how to pick the right grill? Our knowledgeable staff is always ready and willing to help you pick out the perfect grill to fit your needs. For a closer look at Weber grills and accessories, please visit weber.com. *Wyman's also has propane tanks for sale and has an on-site filling station open 7 days a week.